Tattoo Artist Kat von D launched her Make-up line in 2008, it is cruelty-free and will always be, she promises. Meanwhile all the product formulas are vegan, and so are the brushes. Peta2 declared her brand the best cruelty-free cosmetics company in 2017. Ever since I bought her concealer and pressed powder a year ago, I have not left the house without them. These things have absolutely convinced me and I also really like the black and silver-gothic style the products come in. So when I needed a new foundation, I made a beeline for the Kat von D shelf and I’m very happy with my purchases. 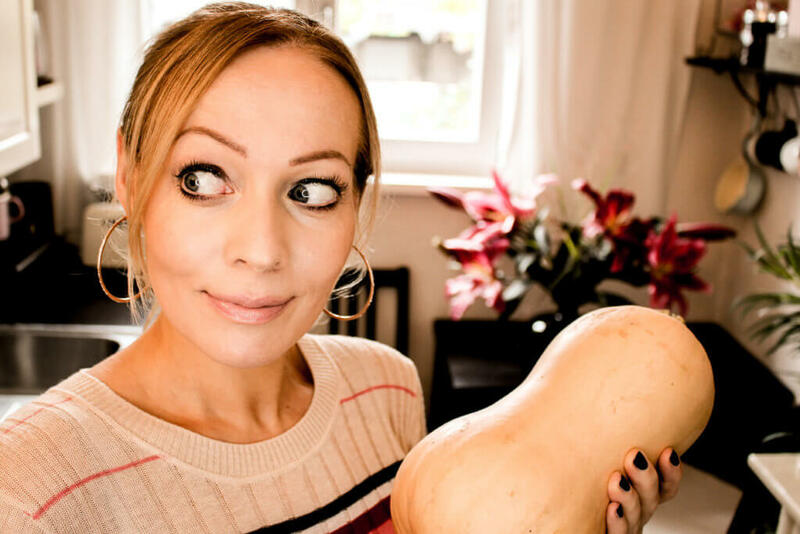 In my Butternut Apricot Curry Video you can see me wearing my whole battery. If you’re over 35 like me, you have probably come to the conclusion as well that less really is more. So I mix the Kat von D Lock-it foundation Light 48 neutral with Lock-it hydrating primer base in a 1:1 ratio. 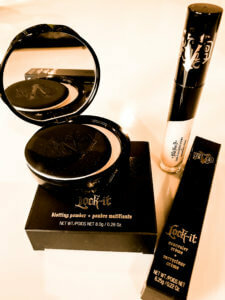 I also use Lock-it concealer L11 neutral, Lock-it setting mist and Lock-it loose powder. I really like the make-up. But I actually bought loose powder for the first time and I’m not sure I’ll stick with that, I feel like I can work better with compact powder, but maybe I just need to get used to it. I also use Everlasting lipliner in muse, Metal Crush Liquid Highlighter in gammaray and the Signature Brow Pen in light brown. I’m very happy with these things and think I will buy them again. 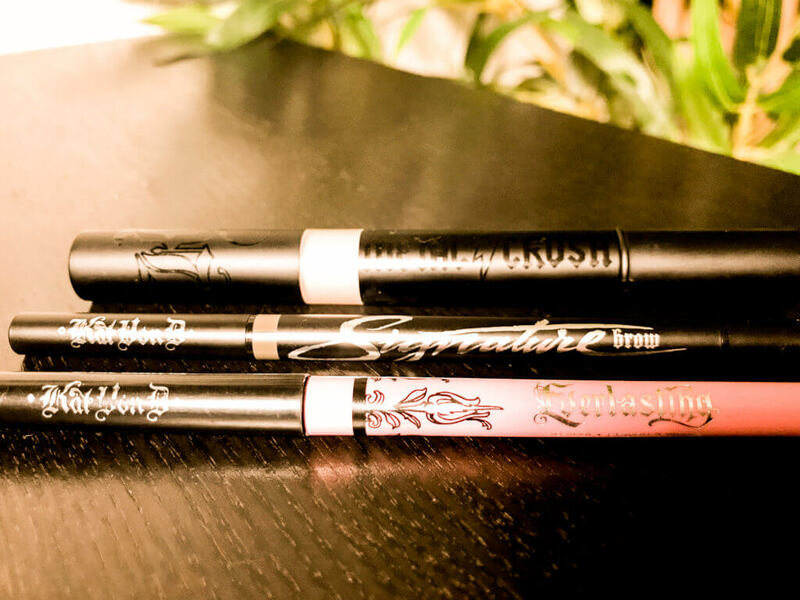 Kat von D’s main premise is that the make-up is high performing. And who needs make-up that is vanished half an hour after you applied it? But yet I think we have all been there. This Make-up still looks good on me after a 12 hour flight. I do touch up the concealer at some point though. The range offers a lot of really bold colours if that’s your thing, and also a lot of different highlighting products. I particularly like that there are travel sizes for many products, or powder refills, so you don’t have to buy a new box when it’s gone. When my Miss Dior bottle is empty, I will go looking for a vegan perfume, and Kat von D’s scent “sinner” is definitely an option. Kat von D Make-up is sold online internationally and at Sephora in several countries. For more information you can go to the brand’s website here. 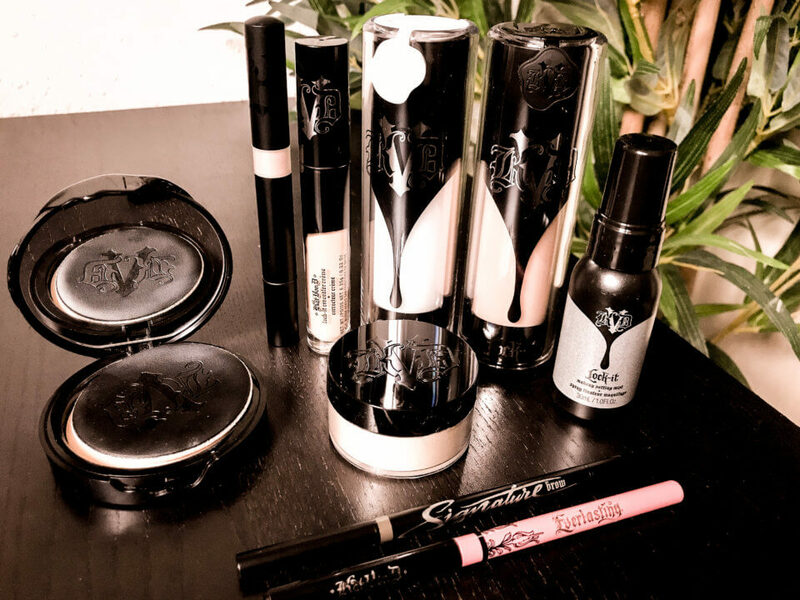 You can not only find information on the brand and the products and order them, but also read customer reviews and watch entertaining and helpful video tutorials (Now I finally know what’s the deal with highlighter). The lip gloss, bronzer and eyeliner I’m wearing in that video are from Too Faced. You can have a look at my Too Faced Blogpost here.